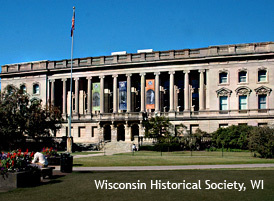 The 36-member Board of Curators of the Wisconsin Historical Society was searching for a new director with the organizational vision and strategic direction the Society needed to secure its continued growth. The new director would have responsibility for one of the nation’s leading state historical institutions, with an operating budget of $24 million and over 100 historic sites in 2004, and would be required to develop strong public and private support to ensure the Society’s short- and long-term financial stability. The Board needed a seasoned leader with financial expertise, broad experience and the power to attract substantial ongoing funding. After gaining a thorough understanding of the Board’s needs with on-site analysis and interviews, Opportunity Resources researched its extensive database of professionals and drew upon our numerous long-standing industry resources. A slate of eight highly-qualified candidates was presented to the Board. The successful candidate, Ellsworth Brown, had been the President and CEO of Carnegie Museums of Pittsburgh for 11 years. He had also been President and CEO of Carnegie Library of Pittsburgh, the city’s publicly-funded, privately-owned and -operated library system. Dr. Brown’s prior positions had included being Director of the Chicago Historical Society as well as Tennessee State Museum. Through our ongoing contact with the Board, we know that in their estimation Dr. Brown continues to be the ideal director for their institution, which has flourished under his tenure.